Are You A Colon Cancer Survivor? Congratulations Dr. Trudel on your UOAA Top Doc Award! 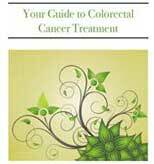 Colon & Rectal Surgery Associates Part of 2013 SAGE Colonoscopy Screening Event! Dr. Trudel Speaks at 2013 UOAA Conference! Congratulations to CRSAL docs in Mpls St. Paul Magazine! FPA Article "Clinics Receive Grants to Improve Quality"
Helping Others. Giving Back. Making a difference. May 22, 2011 Minnesota Walk. Take Steps, Be Heard for Crohn's & Colitis!